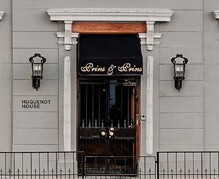 Cape Town jeweller Prins and Prins is housed in the historic Huguenot House in the heart of Cape Town’s city centre. In this majestic 1752 home, you will find what has been named one of Cape Town’s true “Hidden Gems”. Please excuse the pun because here you will find many a dazzling precious gemstone and diamond, and master crafted fine jewellery. The building houses the old well, murals of an 18th century family, ancient artifacts, and a museum full of wonders. Free tours are offered of the house and museum. The museum will delight you with information about ancient South African art, diamond mining and diamond cutting, and even gems from outer space. From the fascinating history, the wonder of precision goldsmithing, the informative museum, exquisite selection of dazzling jewellery, unbeatable selection of diamonds and gemstones, warm and welcoming customer service and very competitive pricing, Prins and Prins is an essential gem to be discovered by all. Have Questions About Our Services? How Can We Help You? Our showroom showcases the best of our master crafted fine diamond and gemstone jewellery. From classic and elegant to show-stopping and award-winning designer pieces, Prins & Prins offers uncompromising quality with a passion for perfection. 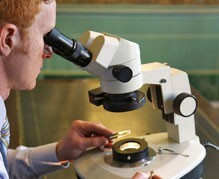 Our qualified gemologists will ensure that through expert advice, you will be able to make an informed decision when purchasing loose diamonds, tanzanite, or pieces from our range of bespoke jewellery. Private consultations centred around you guarantees peace of mind. Tours are available for those wishing to explore the history behind “old Cape Town” through an educational tour of the historic Huguenot House. 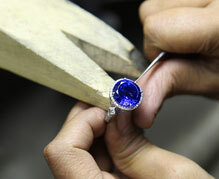 A tour is also offered of one of the last goldsmith ateliers in Cape Town, where jewellery is made by hand following the centuries old traditions of goldsmithing. 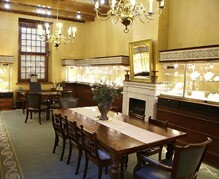 All tours are free of charge, including a visit to the Museum of Gems and Jewellery. Contact us on sales@prinsandprins.com or 021 422 0148 to book an appointment.